Vancouver, BC prog metallers QUARTERED has teamed up with Idobi Howl for the premiere of their latest single ‘She Sees Colour’ from their upcoming album ‘Eyes And Ears’ due out on October 7th. “She Sees Color is one of my personal favorites on this album. Before ever actually writing the album or going in to the studio to record it, I spent some time with someone personal who has synesthesia, the ability to hear/ see color when they listen to music. You know it was just one of those crazy moments when every word, and every action means something to you, that creates that still frame in your head that I will never forget, but you haven’t noticed yet. So in the end it lead me to wanting to recreate those colors again.” comments vocalist Greg Williams. 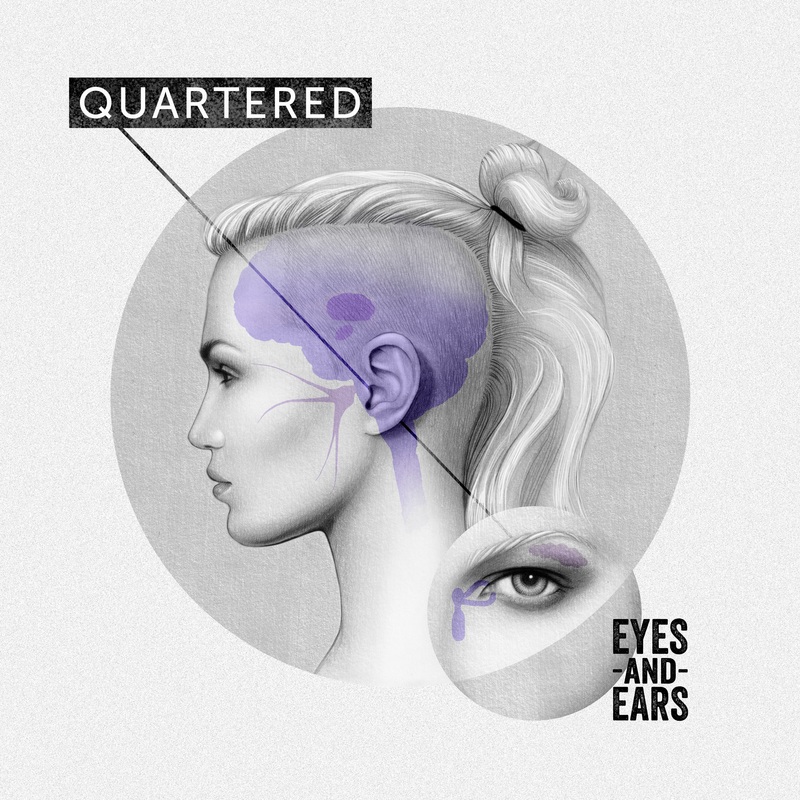 Quartered’s focus has always been on conveying moody emotion and mixing heavy grooves, experimental riffs, and hook-laden bridges to paint a picture with lyrics that tell a story while keeping one major goal in mind: longevity. Now the band is ready to unleash their third record, ‘Eyes and Ears’ they co-produced with Royce Whittaker at Spinnaker Sound and mark their return to the spotlight to follow up 2010’s ‘Walk Like A Ghost’ that was produced by Ben Kaplan (worked on projects with Mudvayne, Chevelle, Alexisonfire and Rise Against) and took the band on multiple Canadian and international tours, one of which saw them playing with Lamb of God and Testament at the 2010 Pulp Summer Slam festival (held in Manila, Philippines). In additional news, Quartered will be performing at this year’s third annual Rain City Throwdown presented by Denyss McKnight of Crowsnest Productions and Cariboo Brewing at the Rickshaw Theatre on Sept 27th in Vancouver, BC alongside bands Take The Earth Beneath Us, The Body Politic, Wolfborne, Drop The Hate. Full details can be found here. Thanks to a group of high school friends fusing their influences into one cohesive sound and the flip of a coin to help choose between band names, Vancouver progressive metal band Quartered’s moniker has certainly given itself meaning over the years. Inspired by bands like Deftones, Tool and Thrice from early on – Quartered’s focus has always been on conveying moody emotion and mixing heavy grooves, experimental riffs, and hook-laden bridges to paint a picture with lyrics that tell a story while keeping one major goal in mind: longevity. Following multiple Canadian and international tours, one of which saw them playing with Lamb of God and Testament at the 2010 Pulp Summer Slam festival (held in Manila, Philippines) and two full-length albums, The Falls of Autumn and Walks Like a Ghost, produced by Ben Kaplan (worked on projects with Mudvayne, Chevelle, Alexisonfire and Rise Against), Quartered is ready to unleash its third record, Eyes and Ears, on October 7th that was produced by them and Royce Whittaker at Spinnaker Sound. Heavily influenced by “memories and how senses play a big part in connecting and helping us remember parts of our lives,” the title Eyes and Ears was chosen because “you can’t un-see the things you’ve witnessed and hearing is such a powerful way to trigger memories,” explains vocalist Greggor Williams. Are you ready to open your eyes and ears to Quartered? “Somewhere along the inspiration of other Canadian screamos Alexisonfire, see for yourself by listening to their newest single “Casa”” – Vancouver Music Review. Vancouver, BC prog metallers QUARTERED has teamed up with Blank TV for the premiere of their new lyric video ‘Violent Love’ in support of their upcoming album ‘Eyes And Ears’ due out on October 7th. In additional news, the band has been confirmed to perform at this year’s Tail Creek Mud & Music Festival taking place from June 27-29 with headliners Korn, Five Finger Death Punch, Chevelle, Killswitch Engage and more. Full details can be found at http://tailcreek.ca/. Along with that fest, AEF have also been confirmed for this year’s Loud As Hell Metal Festival taking place from August 29 – September 1 in Drumheller, AB. Full details can found at http://www.loudashell.com/. 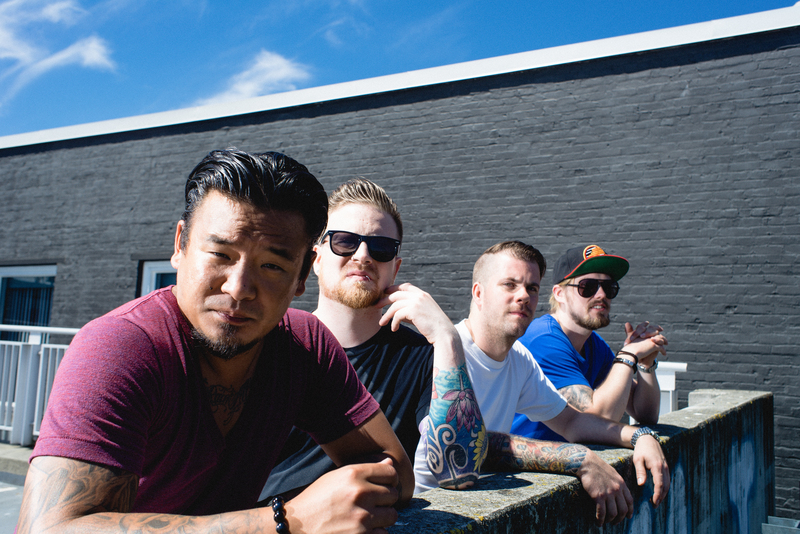 AEF released their EP ‘Fucktropolis’ on Suicidal Bride Records during summer 2013 and recently released their latest music video ‘A Most Unwanted Reprieve’. About: The fourth release since 2007, ‘Fucktropolis’ is the follow up to the band’s 2012 release ‘The Oracle, What Was, Is And Could Have Been’ that received world wide praise from industry publications around the world along with their music video ‘This Burden of Life‘ added to rotation on Canada’s largest music channel Much Music, expanding their Canadian fan base dramatically. Their high energy live show sets them apart from their peers and has garnered them appearances on numerous high level festivals over the years, including Van’s Warped tour, Boonstock and opening support slots for artists like Protest the Hero, Cancer Bats, Dayglo Abortions, 3 Inches of Blood, Fear Factory, Threat Signal, Decapitated, Suffocation, and Arise & Ruin. ‘Fucktropolis’ can be purchased on Bandcamp, iTunes, Amazon and most online retailers.